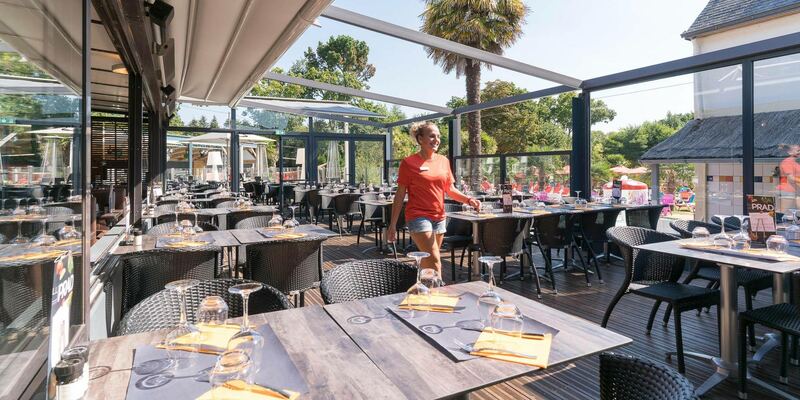 Discover "Le Prad", Le Port de Plaisance campsite’s bar and restaurant area! 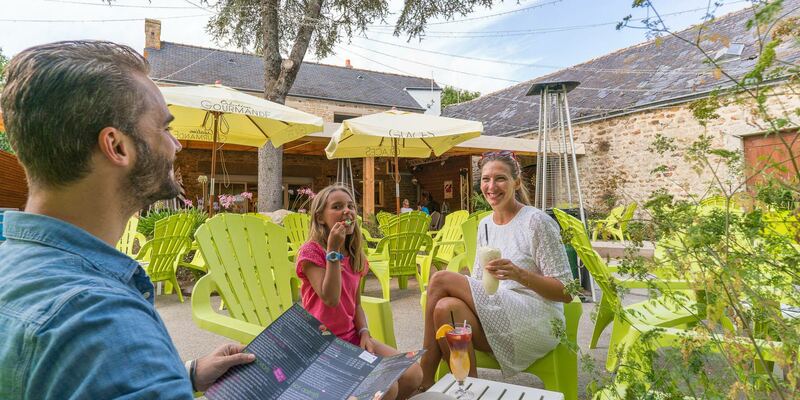 With family, friends or even neighbours, come spend a convivial moment around a drink or a meal. 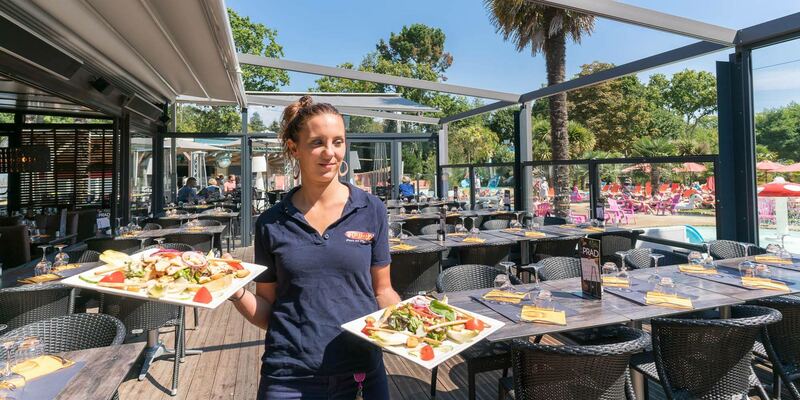 Comfortably seated on the restaurant’s panoramic terrace, with a plunging view over the water park, or more quietly ensconced in the dining room, you can savour succulent little dishes and / or enjoy refreshments as diverse as they are varied! 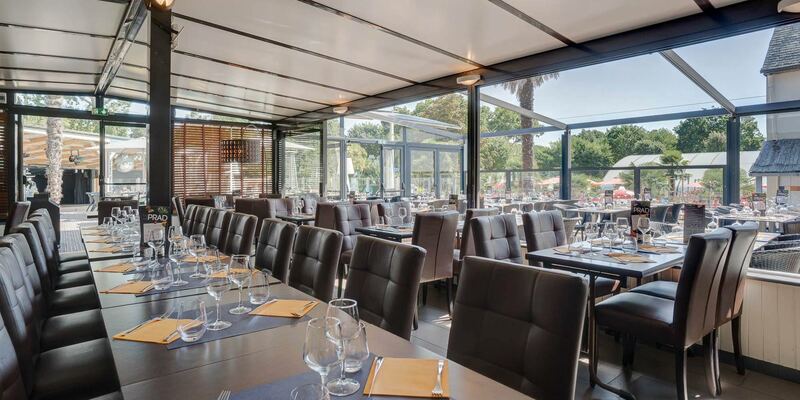 A good atmosphere and conviviality are waiting for you at: the indoor bar, the outdoor bar with both covered and outdoor terrace. 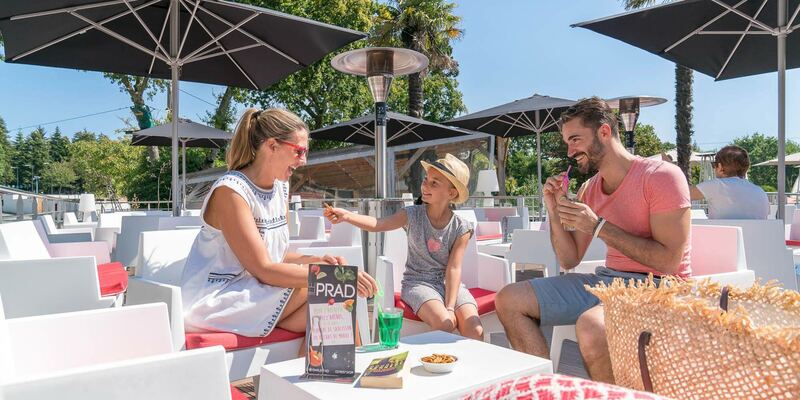 The Le Prad bar hosts shows, concerts and entertainment throughout the season which you can enjoy with family or friends in a unique atmosphere. 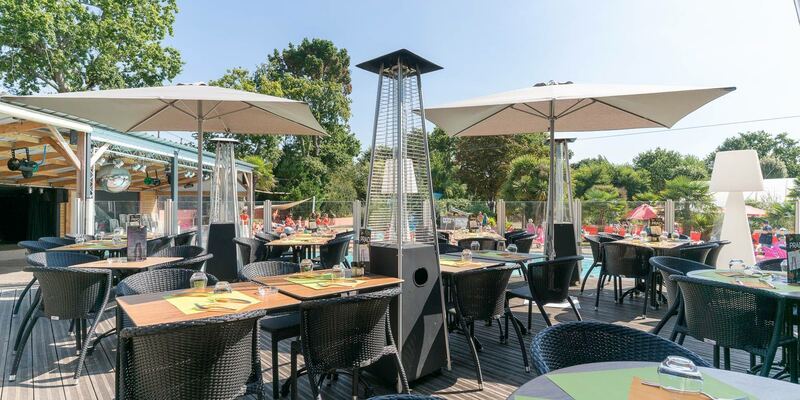 Wi-Fi access, giant screen (televised sporting events), there is a billiards and games room in the bar at our campsite in Bénodet. Alcohol abuse is dangerous to health. 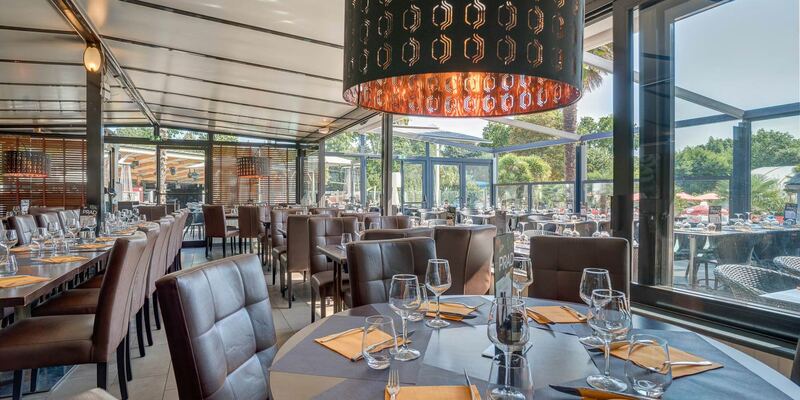 Located on the edge of the water park area, the "Le Prad” restaurant offers a varied menu made up of regional products and traditional dishes. Children will love our special kids menu. 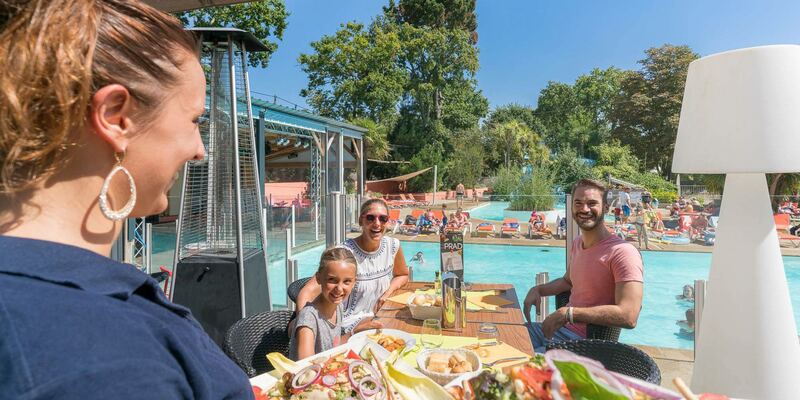 Enjoy half-board with its attractive rates for adults and children! Take your time both in the morning and the evening, don't worry about breakfast and dinner. Offer valid throughout the season. An anniversary, a wedding, a baptism, a company seminar? 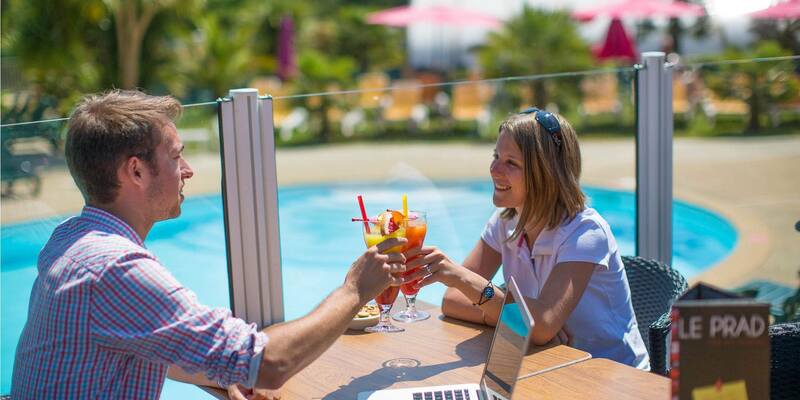 Would you like to organise your event at Le Port de Plaisance campsite? Take advantage of our best rates, reserved for groups, from 20 people (on reservation and at least one week in advance). We are open every day all year round to host groups. Town halls, Play Centres, Works Councils, etc. numerous groups have confidence in us.